Security begins with a good lock. When you rent a storage unit, we will provide you the use of one for free! You can enjoy peace of mind knowing that your goods are protected by our high-quality cylinder lock. They’re better than regular padlocks or combination locks because the shackle is hidden within our sturdy door. 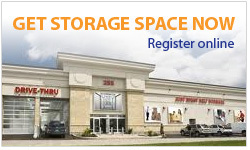 Contact the friendly staff at Just Right Self Storage to learn more. In addition to the free lock for your storage unit, we provide a secure storage facility with state-of-the-art security around the clock to keep your goods secure in our storage building. Find out more about the security we provide our customers by reading about our secure storage facility.